The iMac (27-inch, 3.2GHz Intel Core i5, Late 2012) got the next generation state of the art quad core processor – Intel Core-i5 Ivy Bridge. This is the all-in-one desktop computer in an even slimmer all-aluminum unibody casing behind the 27-inch LED-backlit IPS screen with cover glass fully laminated to the LCD and anti-reflective coating. The body depth at its thinnest has 5 mm, though there’s a certain bulge in the center of the back panel. The computer is mounted on an aluminum stand with a slightly tapered foot and an adjusting hinge. The iMac (27-inch, 3.2GHz Intel Core i5, Late 2012) features a quad core 3.2 GHz Intel Core i5 I5-3470 processor (Ivy Bridge), with four independent processor cores on a single chip, DMI system bus and an integrated graphics core, 8 GB of RAM, a 1TB GB (7200 RPM) hard drive or an optional 1TB Fusion drive, an SD memory slot card reader, Nvidia GeForce GTX 675MX graphics with 1 GB of shared memory, a built-in FaceTime HD webcam and stereo speakers, as well as a “Thunderbolt” port and 4 USB 3.0 ports. It also has built-in AirPort Extreme (802.11g) and Bluetooth 4.0. The cooling system is CPU controlled and the in-built speakers are mounted beneath the 27-inch screen for the clearer less distorted sound to bounce off the desk or other surface. The speakers’ grills also work as the vent ones. The iMac (27-inch, 3.2GHz Intel Core i5, Late 2012) is shipped with a compact aluminum Apple Wireless Keyboard and either with a Magic Mouse or a multi-touch Magic Trackpad. Introduced on October 23, 2012. Processor type: Core i5 (I5-3470) “Ivy Bridge”. Graphics: GeForce GTX 675MX graphics with 1 GB of shared memory. Storage: 1TB, 7400-rpm Ultra ATA-66 hard drives. OS: Preinstalled OS: X 10.8.2 (12C2037). OS max. upgrade: current. Apple Model No: A1419 (EMC 2546). In manufacturing late 2012 iMacs casings Apple used the friction stir welding (FSW), when a rotating tool is pressed against the surface of two overlapping plates. Thus the material isn’t melted at all. FSW is used in making of plane wings and rocket booster tanks. 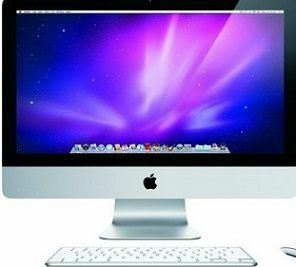 To save money for the new model, trade in your old iMac for fast cash: We at iGotOffer buy used iMacs for top dollar! Check on our prices – Sell iMac online now for top dollar! Late 2013 27-inch iMac: Unboxing and Specs (HD). Video uploaded by CalTalksTech on November 18, 2014. An unboxing of the late 2013 27-inch iMac and a quick review.